NS Modern Website Design Client Reviews, Rating and Analysis Report. 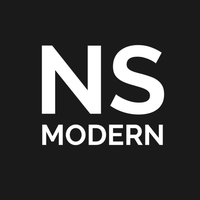 NS Modern is a local Portland website design agency. We develop unique and custom webs designs, engaging the best website design practices for SEO and responsive web design. Building attractive, professional and user-friendly websites is essential for the success of any business. Seeing your business succeed is our passion at NS Modern. Best Website Design and SEO in Portland!